London’s delightful mews streets originate from Georgian period, when row of stables with living quarters above were built behind rich people houses to shelter their horses and stablemen. They are now one of London’s most sought after locations to live in. Built around a paved yard, court or along a small street, they have been converted from stables to attractive houses or flats, often with their own indoor garage space. Typically set back from busy road, they offer a secluded and elegant haven from city life. Unique atmosphere, full of charm, the mews provide the residents an enjoyable sense of community. 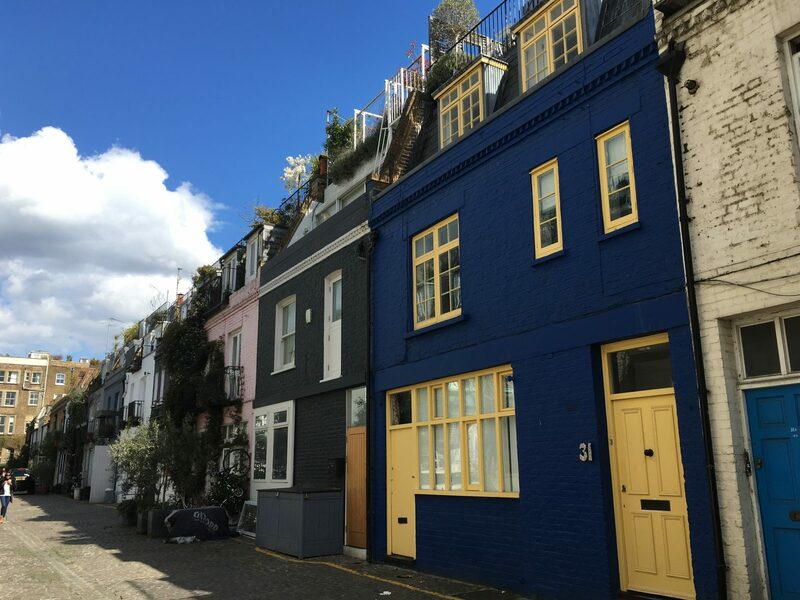 Today, you can also opt for the modern version of mews, created with similar characteristics to the historic type: a grouping of small dwellings which front on an alley or pedestrian passage. This alley or confined place is often private, secured by locked gates to restore the safe community atmosphere.